I just closed my first deal with Stephen Griffin. I am a real estate agent. We had a mutual client. I was not familiar with Stephen before I met him. I had to first list my client’s home before we even begun the search process. Stephen knew that his role in this process was a long ways off, but he still reached out to me immediately. He made himself a partner in the our mutual client’s success from the start. He reached out multiple times before the client’s home was listed and he even helped me hold the home open. When the home was sold and we were searching for homes, Stephen had lender letters to me in only moments whenever I wanted to make an offer. He called listing agents, and made an amazing impression for our mutual client. And once we were under contract, he kept me updated throughout the process and met all deadlines. We had a happy closing and a happy client, and I was happy to have had such a fantastic partner. I would highly recommend Stephen to any real estate agent or home buyer. And listing agents should be confident with any home buyer using Stephen to get a loan. I added Stephen Griffin to my list of preferred lenders. I look forward to working with him again in the future. Denver Realtor And Denver Real Estate Agent by Monica K.
Find Denver Realtor Reviews and Denver Real Estate Agent Reviews of Christopher Gibson On The Denver Better Business Bureau, Facebook, LinkedIn, Realtor.com, Zillow, & Yelp. Download the free Denver MLS home search app for Android and iTunes, Home Scouting. 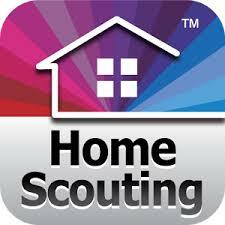 If you search “Home Scouting” in the play store or iTunes store it will be the first app presented. The Home Scouting app is a direct home search tied to the Denver MLS. Input VIP code: 7204496622 . Click on the Home Scouting icon or click here to access your account online. Click on the icons above to download the Denver MLS Home Search App to your phone or tablet or simply search “Home Scouting” in the play store or iTunes store and it will be the first app presented. Remember you will need to input VIP code 7204496622 . 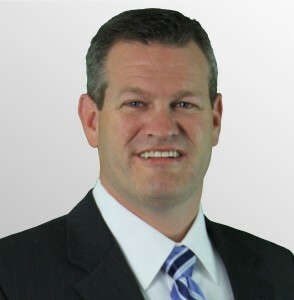 This app is provided courtesy of Jay Rabideau at Cherry Creek Mortgage. Why should you use the free Denver MLS home search app for Android and iTunes, Home Scouting? 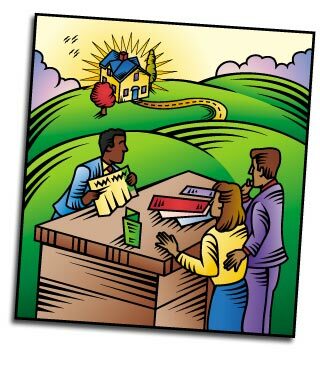 From Home Buyers Marketing II, Inc.: A SERIOUS REAL ESTATE APP ENGINEERED FOR EVERY STAGE OF YOUR HOME BUYING PROCESS. Whether you are just looking, exploring the real estate market or ready to make an offer, the Home Scouting MLS Mobile app provides you with the most accurate and unfiltered MLS data available. ***** To have a password protected site, where I’m not just another lead is awesome***** Up to date, much more vs Zillow and Trulia***** This is MLS, so you know you are viewing the most up-to-date results on the market 100% of the listings for sale. No more wondering if you are seeing ALL of the MLS properties. This professional-grade MLS app is private and secure, NO advertising or SPAM , and is available to you by invitation from your mortgage or real estate professional. You are moments away from taking complete control of your home buying process!THE HOME SCOUTING MLS MOBILE APP PROVIDES YOU WITH:- 100% of the listings – Period – A Private, Secure and Ad-free experience- Automatic listing updates- Complete property details including large, vibrant pictures- Sold property data – And so much more WITH THE HOME SCOUTING MLS MOBILE APP YOU CAN:- Search and view all MLS listings for sale and recently sold- View details of every property right from the curb- Save and track your favorite properties – Well tell you when the price drops or new photos are added- Share favorite properties with family and friends- Effortlessly schedule showings- View detailed school information- Easily contact your Loan Officer or Real Estate Agent with any questions. AND BECAUSE THE HOME SCOUTING MLS MOBILE APP IS PRIVATE AND BY INVITATION ONLY, YOU CAN SEARCH CONFIDENTLY KNOWING:- No annoying popups- No advertising- Your information is secured; no selling of your email or other personal data – One tap access to the highest quality service you deserve. Harness the power of the pros! Stay on top of your home search wherever you are with Home Scouting MLS Mobile app! The Home Scouting Report is a free home finding service provided directly to home buyers by Home Buyers Marketing II, Inc. (HBM II), a licensed real estate brokerage services company.HBM II is a licensed real estate company in all states where it offers real estate services, including the Home Scouting Report. HBM II works cooperatively with other licensed real estate professionals to assist in your Home Scouting efforts. The Cooperating Real Estate Agent is neither an agent nor a broker for HBM II.The Preferred Loan Officer’s role is to assist in determining a comfortable home price range for HBM II to use when it is searching for properties within your search criteria. The Preferred Loan Officer is neither an employee of HBM II, nor the provider of the Home Scouting Report (HSR). 2013 Home Buyers Marketing II, Inc. Patent Pending. See my review of LoanDepot at http://www.yelp.com/biz/loandepot-foothill-ranch#hrid:JXB31jA3ke9FVtrtvuiyXA . Please see my list of proven metro Denver Colorado mortgage lenders: http://denverhomesales.info/denver-mortgage-lender/ . One of my client’s selected an acquaintance from LoanDepot to originate a loan for their new home build in Castle Rock. After collecting documentation from my clients the loan originator handed over information to a loan processor at LoanDepot. The loan processor communicated 2 days before the scheduled closing, 10/30, that there was a large amount of documentation still needed from the builder. The builder quickly replied with the requested information. There was a 1 day delay on the certificate of occupancy, at the fault of the builder, which should have created a closing of 11/4. But at least 4 times since 11/1, the loan processor came back with requests for more information from the builder, that they say is required by HUD. But if this information is required by HUD, why was it not requested weeks ago? Through this entire process we have been routinely delayed because it took the loan processor at LoanDepot 24 hours or more to verify that the requested information is adequate and then come back with more requests for documentation from the builder and my client. The loan processor at LoanDepot never called the builder to verify receipt and understanding of e-mailed requests. Essentially LoanDepot, and the loan originator, took no accountability to get the purchase closed so that my clients can get into their new home. This lack of responsibility goes all the way to the top as we even talked to the manager of the loan processor, with no increase in expediency to communicate additional requests to the builder. In the end they closed 1 week after the original closing date, but the closing never seemed certain. And the acquaintance who originated the loan was nowhere to be found through the entire process. Getting a loan for a home purchase is about more than good rates and low closing costs, and my clients would have been willing to pay a lot more for a loan so that they could have closed on time, escaped a lot of stress, and had some level of certainty for the last week about their closing. I would never let one of my client’s use LoanDepot for a loan again and I hope people who read this review learn from my clients’ mistake. Please see my list of proven metro Denver Colorado mortgage lenders: http://denverhomesales.info/denver-mortgage-lender/ . 1. What do most lenders require that you bring hard paper copies of when applying for a Denver mortgage? 2. Can any of the information the Denver mortgage lender requests for a Denver mortgage be provided electronically? Yes if submitted through a secure e-mail, if not it needs to dropped off or mailed to the credit union. 3. Is there any information the Denver mortgage lender can pull on your behalf so you don’t have to bring it? They can pull internal bank statements but the applicants have to provide all other information. You can find Kristi Brouillette’s contact information on my list of Denver mortgage lenders at http://denverhomesales.info/denver-mortgage-lender/ . I created the following Denver Home Buying Information sheet to help answer some common questions regarding the Denver Home Buying process. Why do I need a Denver Realtor? How is a Denver Realtor paid? Typically Sellers pay their Realtor a commission, which is split with the Buyer’s agent making the services of a Realtor free to the Buyers. After finding a home and coming to an agreement on terms with the Seller, it typically takes between 30 & 45 days to complete the transaction. What a is lender pre-qualification letter, when do I need it, and why do I need it? A pre-qualification letter is provided by a Lender after an initial credit and income check, providing the Buyer with the maximum amount they can borrow to purchase a home. A pre-qualification letter is needed to prove to Sellers that you are qualified to purchase a desired home, and to ensure you are looking at relevant properties. Earnest money is typically 1% of the purchase price. Earnest money is held in escrow as collateral during the purchase process. Earnest money will be credited as part of the down payment at closing. What expenses will I have other than closing costs and the downpayment? Depending on square footage and types of inspections the Buyer chooses, will determine this out of pocket expense. 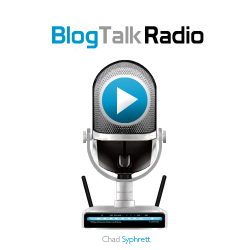 What is an Agency agreement? A Buyer’s Agency Agreement is required by most Realtors, enabling them to work on your behalf and contracting that you are not working with other agents. Denver Realtor: Larry Armstrong says an FHA program, HECM4P, allows retirees to buy a home, making no monthly mortgage payments as long as you live there. From an article in the Denver Post written by Larry Armstrong on December 2nd, 2012. Are you 62-plus and hate monthly mortgage payments? If you could, would you like to move into your dream home without paying all cash (and depleting our portfolio/life savings) without making monthly mortgage payments – and save thousands of dollars you would otherwise lose in the process? If you and your spouse are 62-plus, a new FHA program is here to help. And you don’t have to wait for your existing’ home to sell. Let’s face it, since the fall of 2008, there hasn’t been much good news coming from the housing market or Wall Street. The FHAs Home Equity Conversion Mortgage for Purchase Program HECM4P comes at a time when a lot of cash strapped retirees have seen their portfolios depleted and home values drop, while they are still trying to boost their monthly incomes. This government-insured (FHA) program has been available since February 2009. However, most banks do not offer it. The FHA developed the HECM4P program because it saw many 62-plus homeowners selling their homes, buying smaller, more affordable homes and then taking out reverse mortgages on these new properties to create new cash flow. They paid closing costs up to three times – first on the home they’d sold, then on a new mortgage if they needed one to make the next purchase and then again if/when they took out a reverse mortgage. But now, the new HECM for Purchase allows you to buy your dream home with only one closing on your new home. And you don’t have to wait for your existing home to sell before buying your new one. The HECM for Purchase program is an age based mortgage backed by the FHA for folks aged 62 and older. Unlike traditional mortgages, our monthly payments are deferred so the loan balance increases over time. The loan is backed by the FHA, so neither borrower(s) nor their heirs are personally held liable for the debt. So… what’s all this really mean? It’s simple. Say you use a HECM to buy your dream home, making no monthly mortgage payments as long as you live there. Say 10 years later you decide to move When you sell your home, you will receive 100 percent of the net proceeds after paying of the loan balance at the time of the sale. This is exactly how a traditional mortgage works. The primary benefit of HECM comes into play during the years you live in the home, because you aren’t making a monthly payment to the mortgage company. So, you are increasing your cash flow each month. Another benefit follows your heirs. What if – at the time of your passing – the loan balance exceeds the home’s value? What happens then? In a traditional mortgage, your heirs would be forced to sell the home at a loss and covert he difference. The terms of a HECM program mandate that neither you nor your heirs are personally liable to cover the difference if your home is sold for a loss. The FHA insurance program steps in to make up the shortfall. An appraisal is an opinion or estimate on the value of Denver real estate. This value is generally expressed as Market Value. Obtaining an appraisal is an important part of the mortgage process that will determine the actual market value of the home being purchased or refinanced. The appraisal allows the lender to determine if the value of the home is sufficient to support the loan amount requested. The appraised value will also ensure that a homebuyer is not paying more than a home is actually worth. Subject: Basic information such as the address, legal description, owner’s and/or borrower’s names. The client is also identified here. Contract: Information on the contract for sale is entered here for appraisals in which a change of ownership is about to occur. Neighborhood: Detailed information related to the neighborhood such as boundaries, characteristics, trends, description and conditions. Site: Data on the size, shape, zoning and access to utilities as well as FEMA flood-zone information. Improvements: Physical characteristics of the Denver real estate such as age, materials, and condition. Sales comparison approach: This is where the Denver real estate being appraised is compared to recent sales of other properties. There are three ways to approach an appraisal. These are all used to determine the final, “reconciled” value. The purpose of the sales comparison approach is to derive a value based on recent sales prices of similar properties, called comparables. The method assumes that the typical buyer pays no more for a real estate than the cost of purchasing an identical real estate. Data is collected on recent sales of comparables. Because comparables may not be identical to the home that is the subject of there appraisal, some price adjustment is necessary. To minimize the amount of adjustment required, comparables should be closely similar to the subject in size, age, proximity and condition. The purpose of the cost approach is to indicate value based on the cost to replace the real estate, using current materials and methods. It is not necessary to simulate production of an exact replica. Any depreciation on the subject real estate is estimated and subtracted from the new reproduction cost. Depreciation includes physical wear, needed repair and replacement of components, outmoded design and materials, and incompatibility with surroundings. This approach assumes the Denver real estate is purchased for its productivity as an investment. The appraiser will look at market level rents and operating expense ratios to determine the value. This approach can be used for investment properties as well as owner-occupied properties. One of the first goals I face with many home buyers is connecting them with Denver Colorado mortgage professionals that can get them pre-qualified for a loan. As I gain more experience in this industry I have learned that some home mortgage professionals are more responsive that others. Additionally some home mortgage professionals are more likely to complete a transaction on time. Mostly I have been working with Jennifer Fairfield at Guaranteed Rate. She was referred to me by friend who needed to get pre-qualified on a Sunday afternoon to make an offer on a home against other competing offers. Having a mortgage broker who will qualify people in a hurry is an incredible asset. My wife works for Denver Community Credit Union and referred me to Kristi Brouillette. Kristi does not receive a commission for her work which lowers the cost to borrowers. Additionally DCCU has some of the lowest interest rates in the market. The down side is that you will not be able to get an FHA or VA loan from this institution, which means you need to come to the table with 5% down or more. And you must be a member of Denver Community Credit Union to get a mortgage from them. Kristi Brouillette is stationed at the office for 1stMortgages. I met Lori Barb at the office for 1stMortgages when I introduced myself to Kristi Brouillette. Lori Barb has sent me a few potential clients and I am hoping to do a deal with her in the near future. Samantha Sanchez is a loan officer at Vectra Bank. She is an awesome resource if you have a building with odd investor ratios or that is not completely occupied. In scenarios such as this traditional lenders may not be able to underwrite a loan. She is also a great resource for home equity loans for home improvements. Home equity conversion is a bit confusing for many people. But using a reverse mortgage to move to an active living community or to supplement your retirement income is an incredible resource for seniors. Larry Armstrong and I go to church together and I trust him to find the best possible solution for retired people to upgrade, downsize, or otherwise change their home living situation with their stored up home equity.